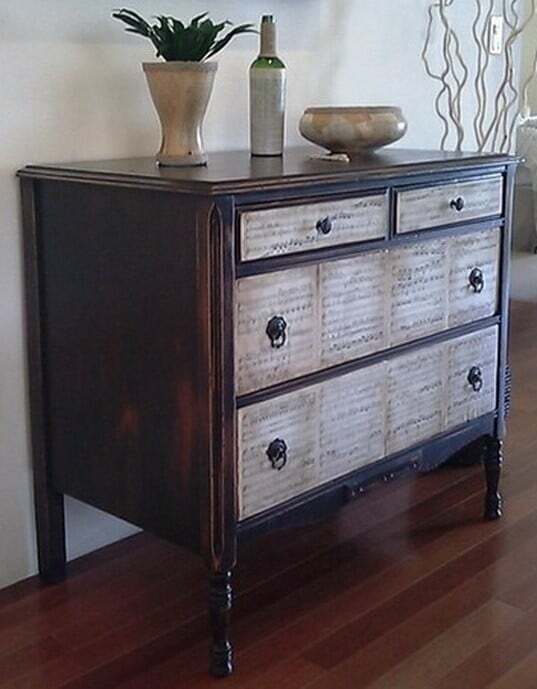 Old ugly furniture doesn’t need to be thrown away. 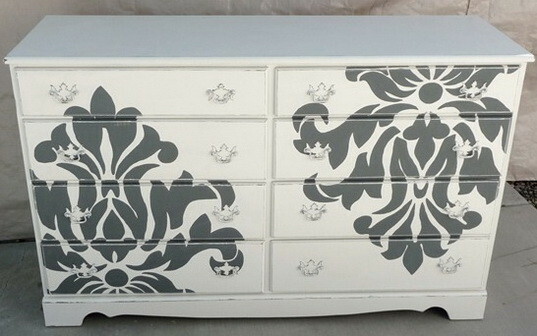 In a few simple and easy steps you can refinish that old furniture dresser into a one-of-a-kind masterpiece! With the full blown DIY craze happening online now, many thousands of people are doing just this. 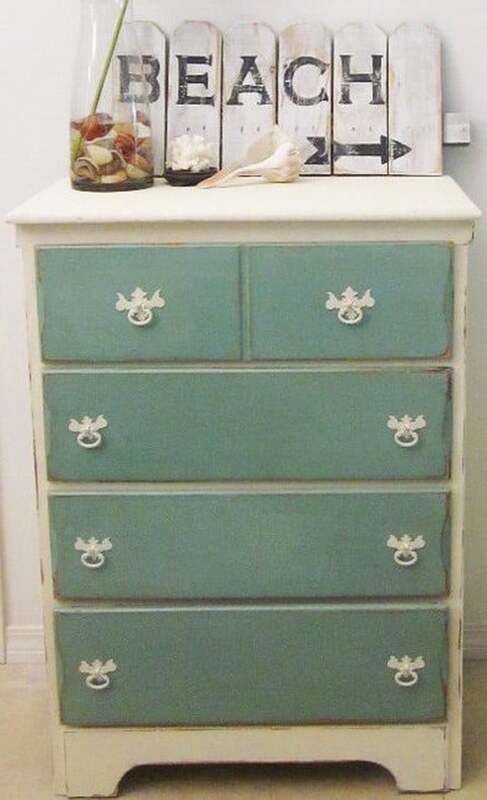 Either purchasing old furniture at garage sales or Goodwill and then repainting it to look like new again. 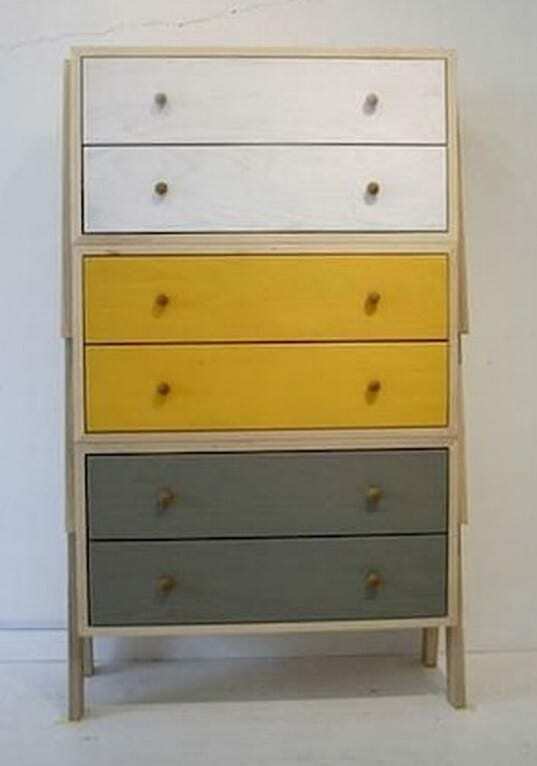 Below we will show you an easy way (and a few more refinishing examples) to do this yourself. 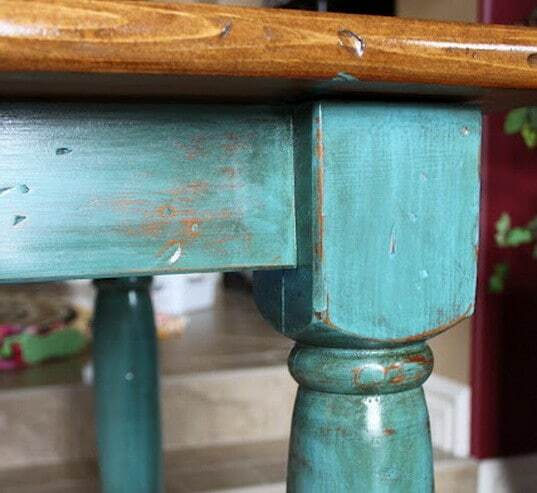 Refinishing an old piece of furniture will not cost you very much money. 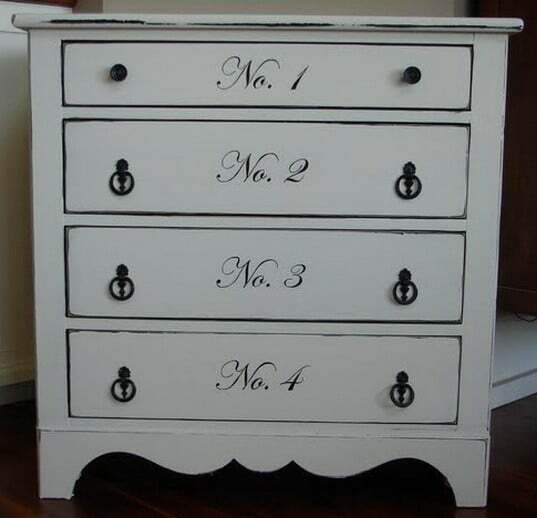 The paint type you use and the types and quantity of the dresser knobs will make your cost vary. 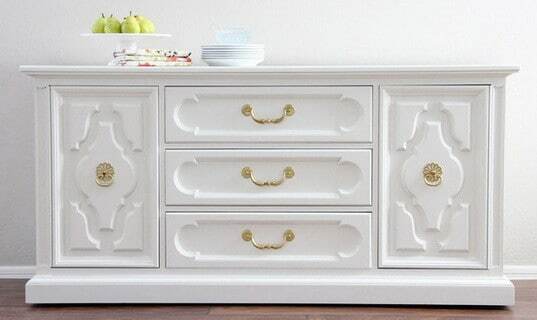 So remember, DO NOT throw away your old furniture, RESTORE IT INSTEAD! 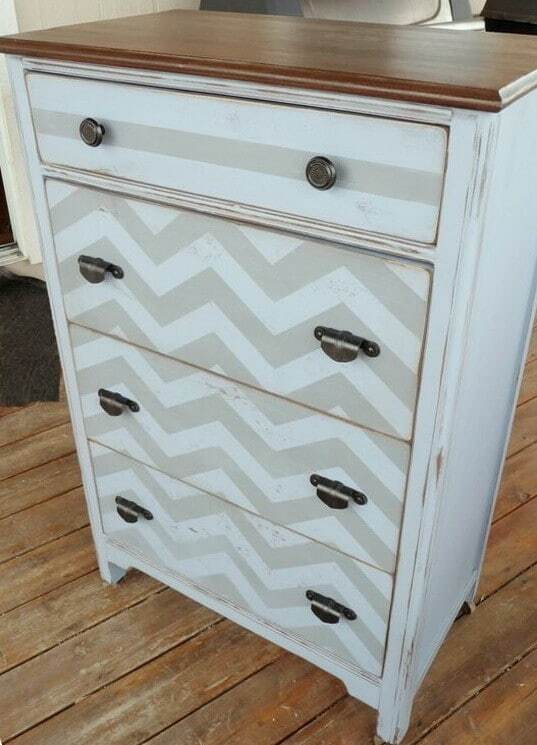 Here is an old dresser we purchased at a garage sale for $10 dollars. Perfect for restoring! 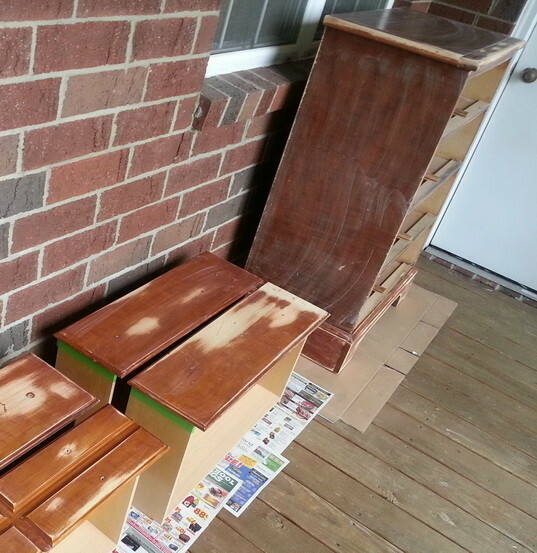 We took out the drawers, removed the knobs and sanded the dresser down to almost bare wood. 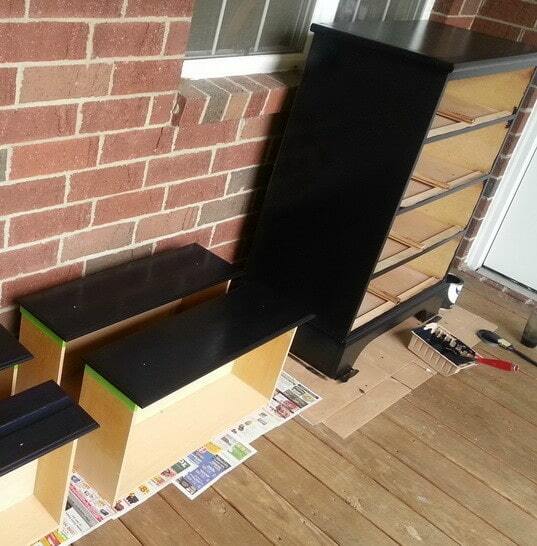 We then painted the dresser jet black with 3 coats of paint and let dry for 3 hours. 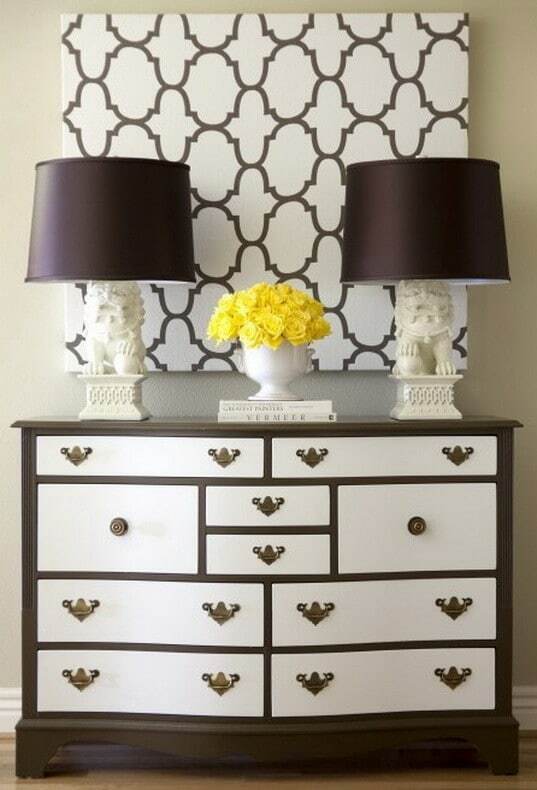 Once painted we added our new silver round knobs to the dresser drawers for a new look! 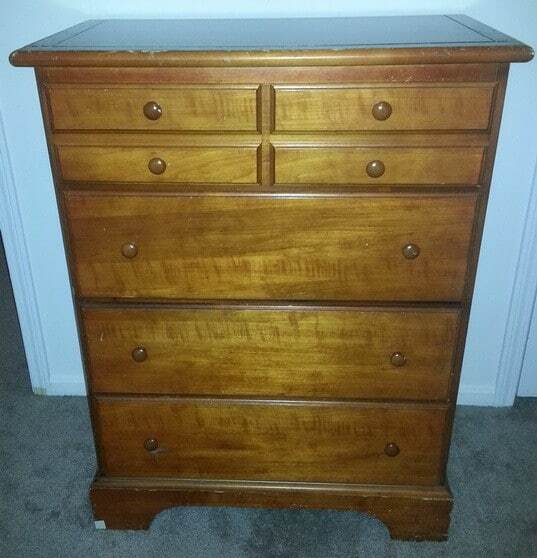 This only cost us $25 dollars total including the dresser, paint, and new drawer knobs! 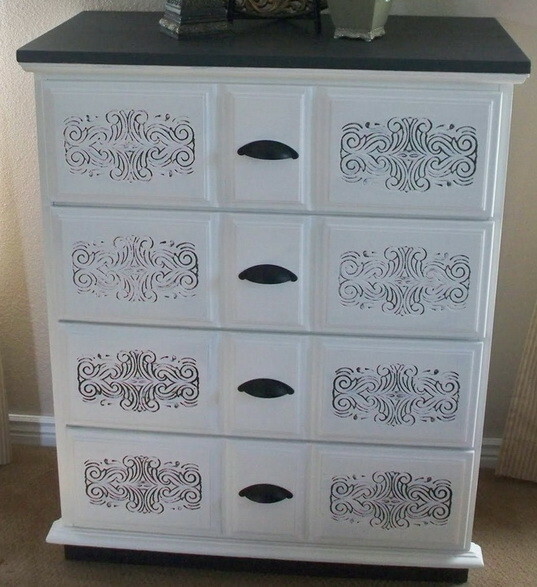 furniture that was refinished and refined by DIYers! You can use Vaseline = aka petroleum jelly. It is very simple and will bring you great results. 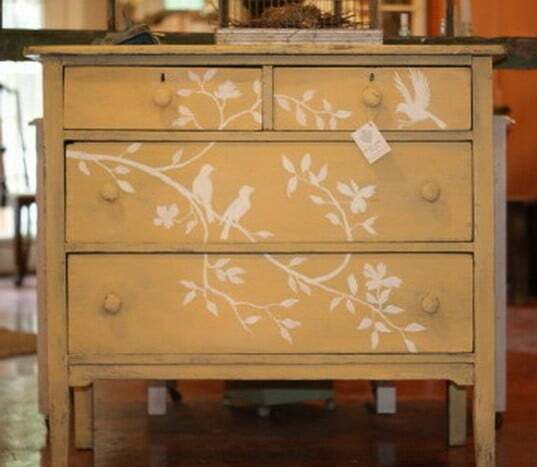 Simply do a search for “distressed painting with vaseline”. 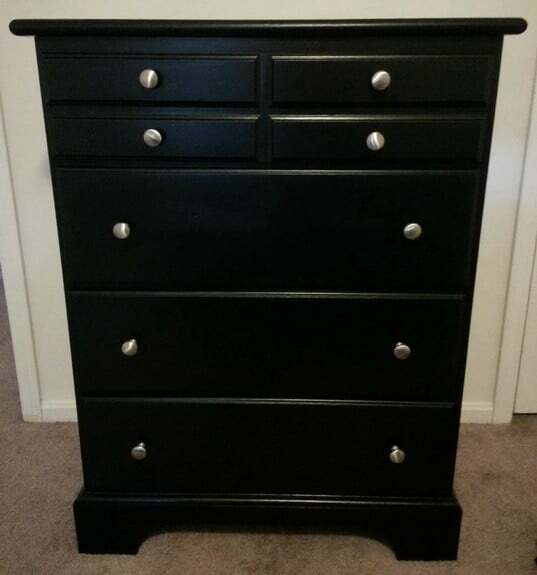 What paint finish did you use on the jet black dresser? Thanks for your help! We used Rust-Oleum Painters Touch Quart Latex, Semi-Gloss Black. It is available at Home Depot or Lowe’s and even Amazon if you want to order it online. 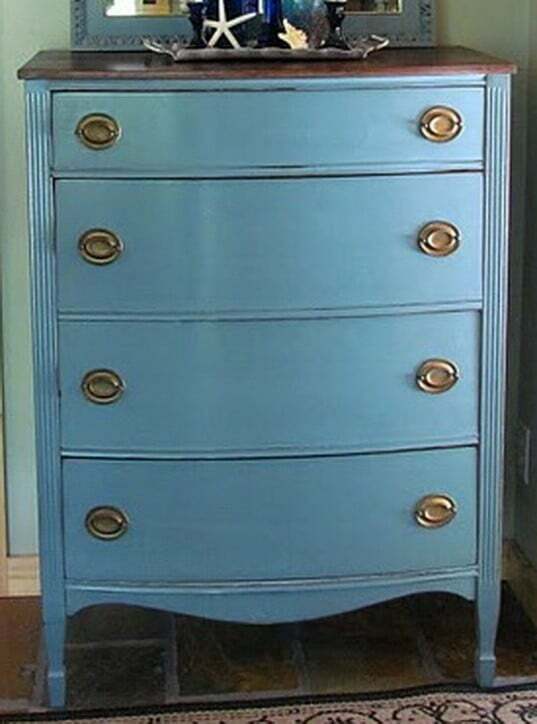 It costs about $15 dollars and a quart should be sufficient to paint a complete dresser with a few coats of paint.